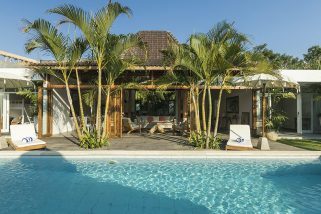 Simply furnished but with air conditioned bedrooms and its own private pool, this is a great base for families and friends setting out on a budget island escapade. 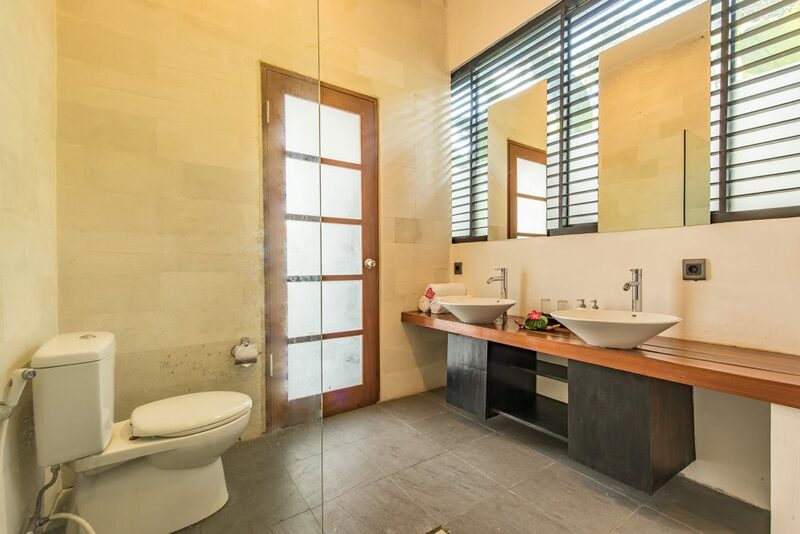 Moreover this multipurpose complex has adjoining doors between the properties so this 2 bedroom can be joined with the 2 bedroom villa next door to create 4 bedrooms. Or, for really large parities this can be linked to a 3 bedroom making a total of 7. 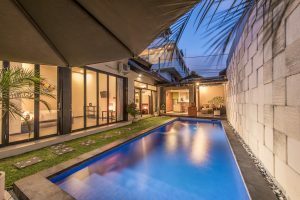 This villa is entered through a modest garden courtyard which comprises of a private swimming pool with a pocket-sized living and kitchenette area at the far end. 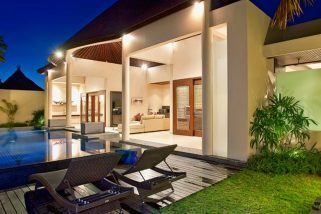 This is furnished with a couple of comfortable chairs and has everything you need to whip up a quick meal for the kids. Moreover, there are a couple of loungers by the pool for chilling out and enjoying the temperate evening after a long day shopping or at the beach. 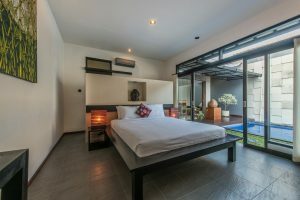 The two bedrooms are clean and fully air conditioned with double beds, flat screen TV’s and patio doors leading to the garden. Both have their own ensuite shower rooms which are well appointed and a decent size. Furthermore, the villa is situated on a quiet side street so there is no major traffic noise. 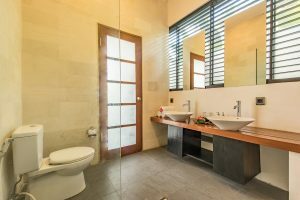 The Villa Daria complex is looked after by a dedicated manager and serviced daily by a housekeeping team, gardener and pool maintenance. 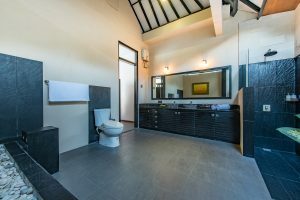 This means guests are free to put their feet up or to take off on adventures to other parts of the island without having to worry about housework. 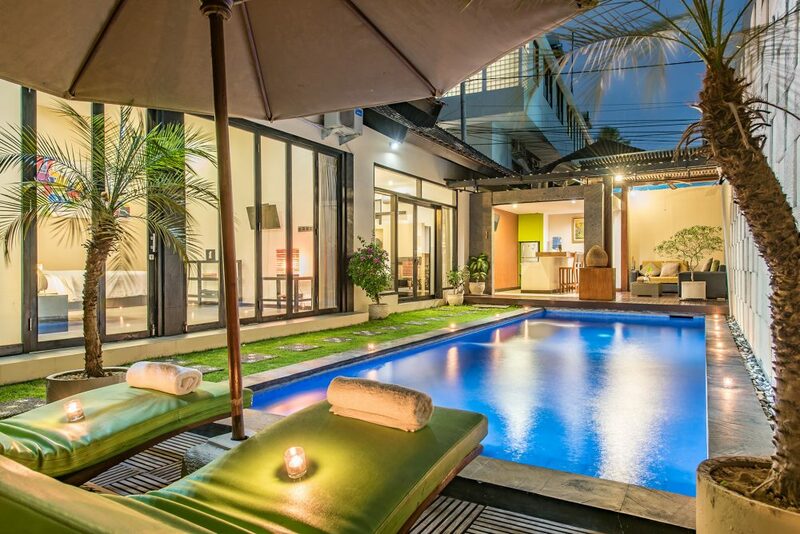 This villa is the best way to stay in the heart of stylish Seminyak on a shoestring. The beach is super close with access to all the water sports you might expect from this surf obsessed island. 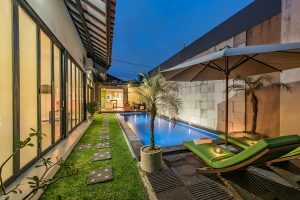 Or if shopping is more your thing, the fashionable boutiques and outlet stores of Jalan Laksmana (also known as Eat Street and Oberoi) are only 2 minutes from your front door. This area is also full of great cafes and restaurants meaning that you simply don’t have to cook every night. Just by the entrance to the complex is Kilo Kitchen, a little further up the road is a great Mexican called Lacalaca and at the junction with Eat Street is a great place for coffee called Corner House. Also the celebrated night spot La Favela is within walking distance if you fancy a late night boogie. 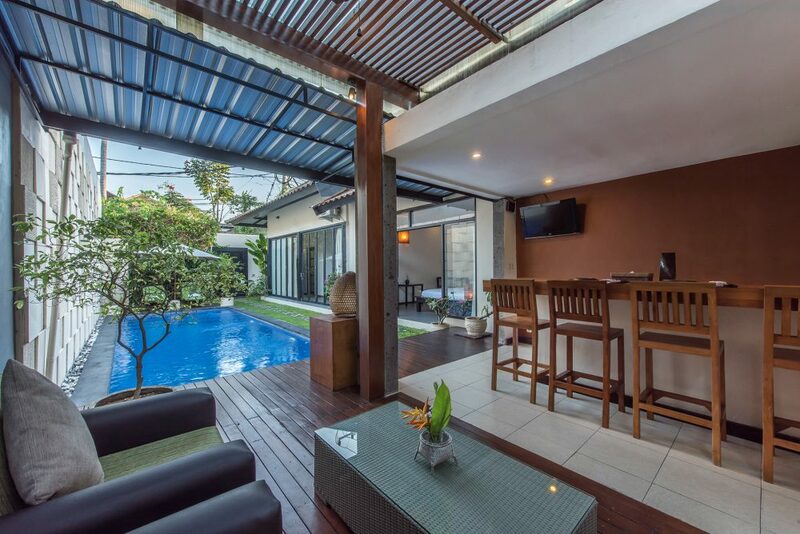 Villa Chamade is a 4 bedroom Seminyak holiday villa rental & is located just off bustling Jalan Batu Belig, on the fringes of Seminyak. 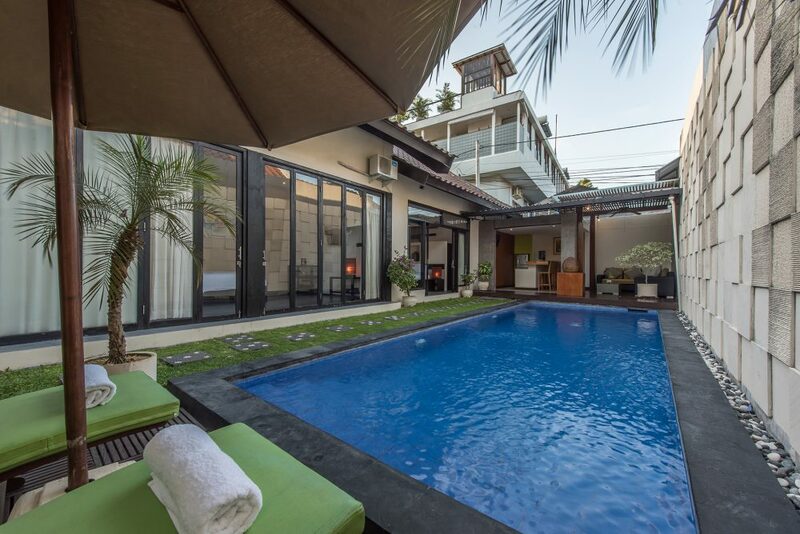 Tucked away on a quiet street in Seminyak is the fabulous Villa Kencana. 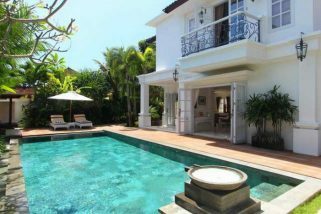 Despite being so close to numerous shops and restaurants, the villa itself is incredibly serene. 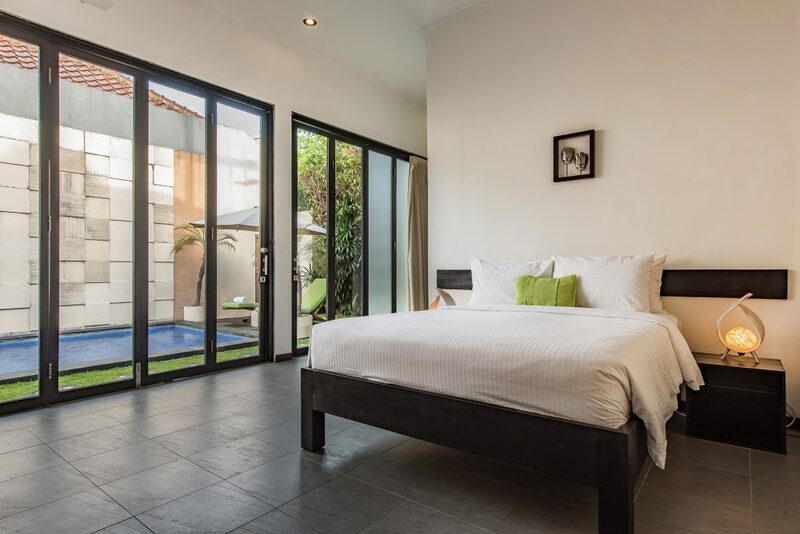 In fact, it’s hard to believe that buzzing Jalan Petitenget is just a five-minute walk away.